Until the mid-1800s, Lake Oswego was a sleepy assembly of homesteads and farms between the Willamette and Tualatin Rivers in Oregon. A small population of Native Americans--the Clackamas Indians--had occupied the land, but diseases brought by early explorers killed all but a few. Those who remained ceded their territory to the Federal Government in 1855, and moved to the Grand Ronde Reservation in nearby Yamhill County. The town of "Oswego" was founded in 1847 by Albert Alonzo Durham. He secured the first Donation Land Claim and named the town after his birthplace in New York. He built the town's first industry--a sawmill on Sucker Creek (now Oswego Creek). In 1841, iron ore was discovered in the Tualatin Valley, but it was not until 1861 that its existence was an accepted fact. In 1865, the Oregon Iron Company was incorporated. It was the first of three companies that hoped to make Oswego an industrial center, the "Pittsburgh of the West." With the demise of the iron industry, Oregon Iron & Steel turned its attention to land development. It built a power plant on Oswego Creek from 1905 to 1909, and following the incorporation of the City of Oswego in 1910, sought permission to erect power poles to provide electricity to the community. It sold large tracts of the 24,000 acres it owned to land developers such as Paul Murphy and the Ladd Estate Company, and undertook residential development. In 1926, the first City Hall was built on A Avenue between State and First Streets. 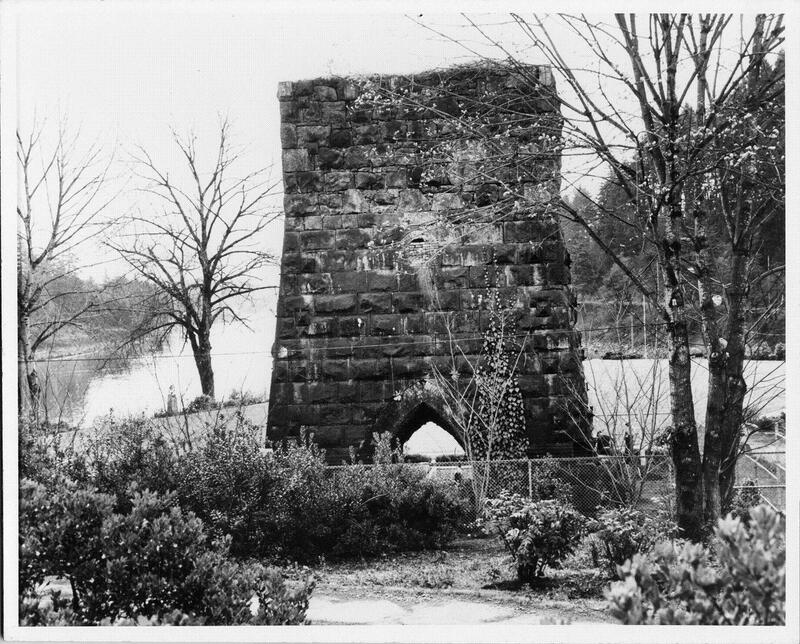 The first iron smelter, in modern-day George Rogers Park, went into production in 1867 and continued to operate intermittently under a second corporation, the Oswego Iron Company, until 1881. It was succeeded by the Oregon Iron & Steel Company, which operated at the old plant until 1885. In 1888, its operators built a new smelter on the current Oswego Pointe site. The new smelter had five times the capacity of the old plant. At its peak, the iron industry employed some 300 men. In 1890, production reached 12,305 tons of pig iron. Oswego was booming. It boasted a growing population, four general stores, a bank, two barber shops, two hotels, three churches, nine saloons, and Davidson's drugstore. An opera house proved to be a profitable investment. Until 1886, when a narrow gauge railroad between Portland and Oswego was built, Oswego was a remote place. It could be reached only by river boats and narrow dirt roads. The Southern Pacific Railroad acquired the line before the end of the century and widened it to standard gauge. In 1914, it was electrified. The rapid, clean, and quiet trains stimulated residential development in Oswego in the 1920s and 1930s. 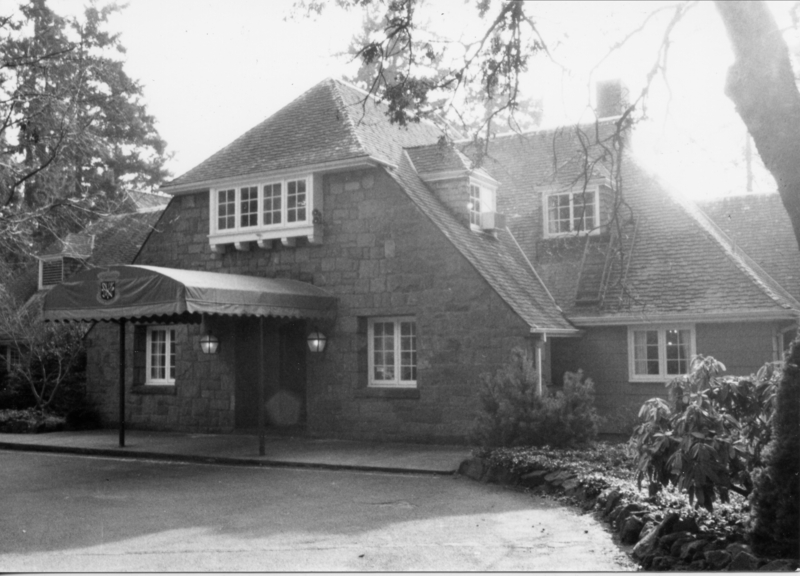 Paul Murphy developed the Oswego Lake Country Club to promote Oswego as a place to "live where you play." By the 1930s, its growth as a year-round living environment was well underway. Murphy built the first water system to serve the west end of the city, and encouraged noted architects to design fine homes during the 1930s and 1940s. This gave rise to Oswego's reputation as a community of fine homes for people with taste. Residential development around the perimeter of Oswego Lake accelerated in the 1940s and 1950s. With the annexation of part of Lake Grove to the west in 1960, the name of the city was changed to Lake Oswego. Today, Lake Oswego is considered one of the finest residential communities in Oregon.